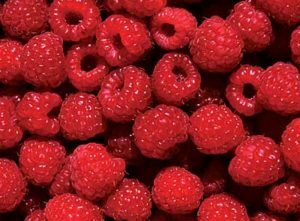 Put a quart of ripe red raspberries in a bowl ; pour on them a quart of strong well-flavoured vinegar, let them stand 24 hours, strain them through a bag, put this liquid on another quart of fresh raspberries, which strain in the same manner, and then on a third quart ; when this last is prepared, make it very sweet with pounded loaf sugar ; refine and bottle it. It is a delicious beverage mixed with iced water. The raspberries in my yard are budding up to bloom and fruit soon. Here is one fabulous preparation idea that translates easily from so long ago! Much like Shrub (a vinegar based tart/sweet drink common in the 19th century) Randolph offers a raspberry version that is very tasty. Her recipe is a very straight forward set of instructions. You can double or triple the recipe or halve it to fit the amount of fruit you have. For my home use what I wanted was the pre-sweetened step; the plain raspberry vinegar itself. 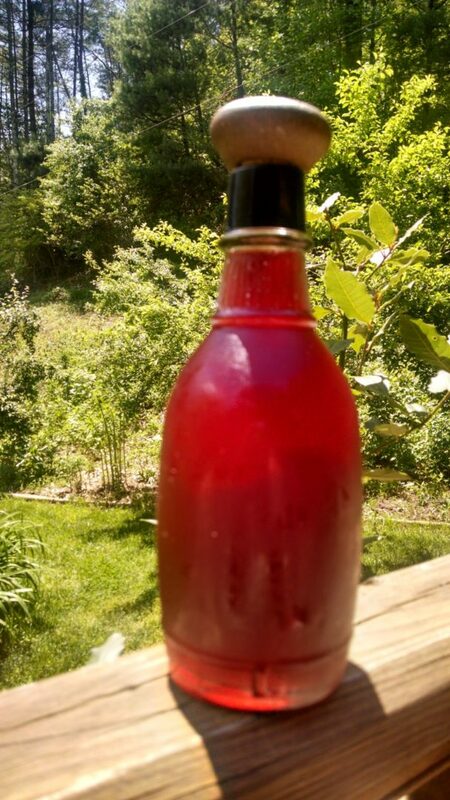 So with her recipe you can have two for one; sweeten half of it for a refreshing summer drink or do as I did and bottle the raspberry infused vinegar for use in salads and sauces. Because the blueberries and strawberries are on their way I plan on using the same process with them with the exception that blueberries or strawberries may need to be mashed a bit before being added to the vinegar to extract their full flavor. Can you use the discarded berries for something else or are they just mush after soaking in the vinegar over night? After all the soaking the berries are pretty much ready for hen feed! !